Panda Mom STILL Won’t Share Her Bread! 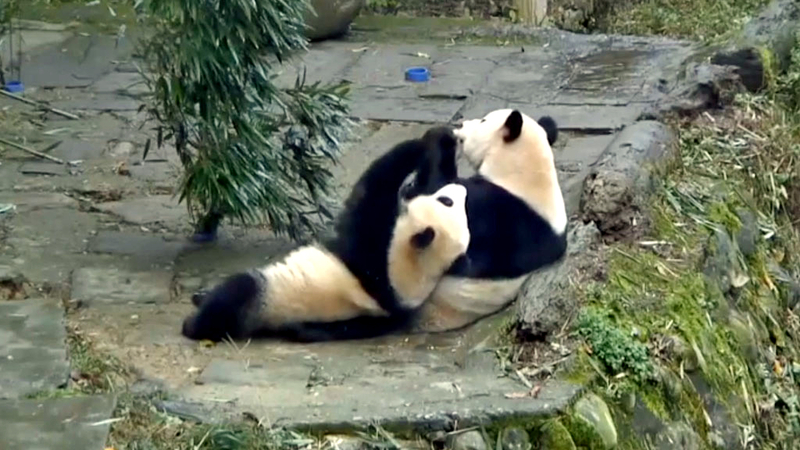 We all had a good belly laugh with last week’s highlight clip of mother panda Xi Mei denying daughter Xi Li a bite from her delicious hunk of bread. Well, mama of the year Xi Mei is back at it in a new clip from Bifengxia Panda Center in Ya’an, China. Toddler Xi Li crawls all over mama for a bit of bread but Xi Mei strong-arms her daughter with a paw to the face at every step of the way. There’s even an adorable moment of panda bear piggy back. Both pandas are tenacious in this struggle. Xi Li will not give up, and Xi Mei just won’t let go. And while it looks a little mean of mommy, she is actually still nursing her 16-month-old toddler and does not want her eating anything but milk and the occasional bamboo snack until she eventually weans her baby. Catch the clip below!